This is a really simple recipe that I created with ingredients we already had in the fridge and cupboard for a delicious meal using that other white meat. This is designed for two people but you could easily double it for a family dinner for four. Preheat your oven to 350 degrees. In a bowl, combine the maple syrup, brown sugar, soy sauce, cinnamon and salt and pepper until blended. 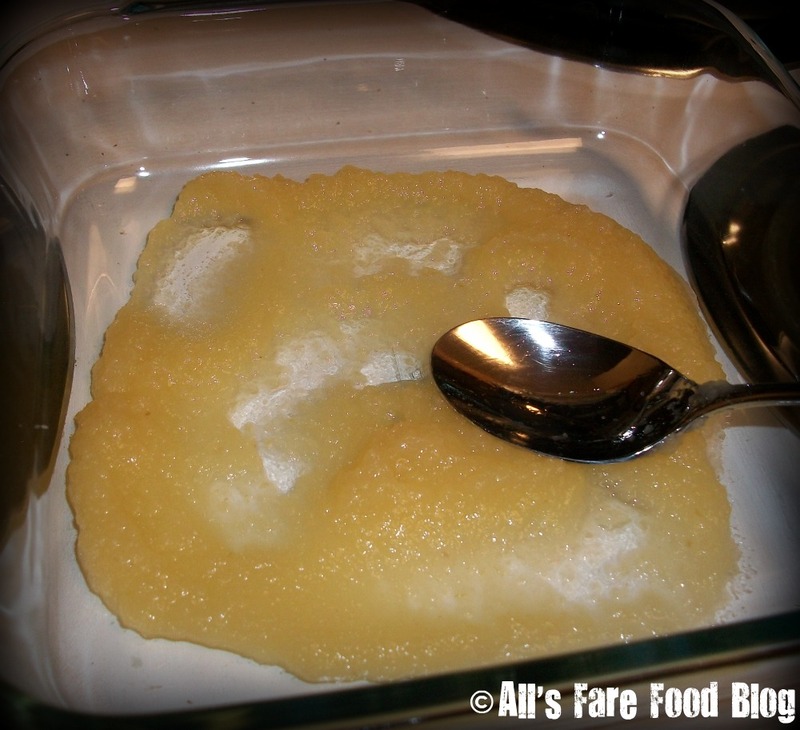 In an 8×8 square baking dish, spread the apple sauce in the bottom of the dish. Season the pork on both sides with salt and pepper and lay on top of the apple sauce. Cover the pork with sugar/syrup/soy mixture. Cover with aluminum foil and bake for 15-20 minutes. Then, uncover the pork and bake for a remaining 5 minutes or until the pork reaches about 140-145 degrees F. Let rest for about 5 minutes to reach a safe-to-eat temp of 160 degrees F.
Before serving, cover the pork with the glaze that has formed from the apple sauce and the sugar, syrup and soy. Serve with your desired fixin’s. We thought it paired really well with baked sweet potatoes using America’s Test Kitchen’s recipe. 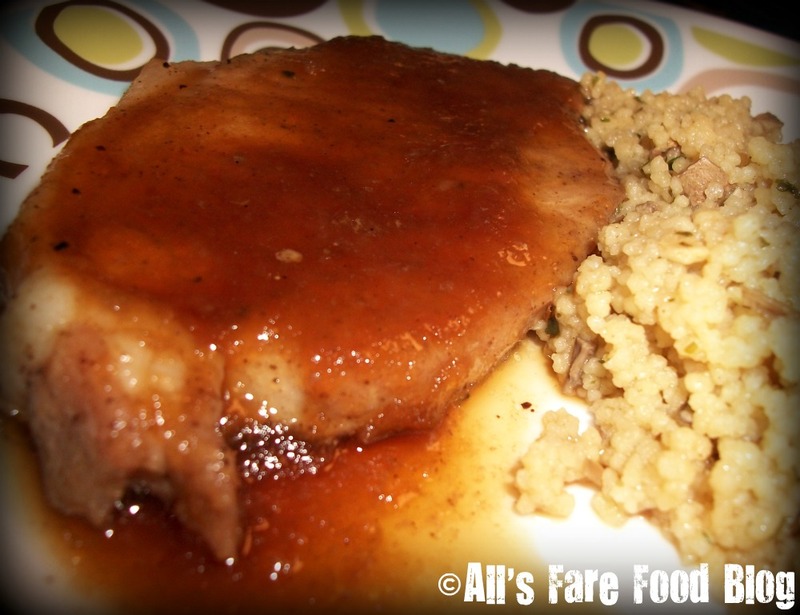 This entry was posted in Cuisine - American, Recipes and tagged agave, America's Test Kitchen, apple sauce, maple syrup, Musselman's, pork chops, recipes, soy sauce, sweet potato, Trader Joe's by Christina. Bookmark the permalink.